Welcome to VIB - Austrias largest and most frequented busterminal! ...make a day trip or take the night bus to save accommodation costs! ...to visit beautiful European cities. By bus you travel flexible and without high fees & taxes. Borderless & flexible travelling at bargain prices! Online tickets up to 24 hours before departure. Click here for schedules and fares. Erdbergstraße 202, Mo-So: 06.30 a.m.-9.00 p.m.
Erdbergstraße 200 A, Mo-So: 06.30 a.m.-11.45 p.m.
Only 15 minutes from VIB to Vienna Airport. 15x daily for only € 5,-! The Busservice Adria will take you to the Upper Adriatic from the end of May until the end of Sept. 2019! Find out everything about the services of our VIB-Vienna International Busterminal. Book online up to 24 hrs. prior to departure and pay securely! Discover it - you travel flexibly, comfortably and cheaply by long-distance bus. You have no desire for long-term travel planning and expensive rebooking fees if your plans change at short notice? You do not want to debate about every kilogram of your suitcase and can renounce on long airport transfers as well as long check-in times hours before departure? You are happy to be flexible and willing to accept a slightly longer travel time for a cheap ticket? However, you are not willing to compromise on comfort. Then you are the perfect passenger for the long-distance bus! Are you looking for a specific destination or just want to take a look around? On this page you will certainly find all the information you need. 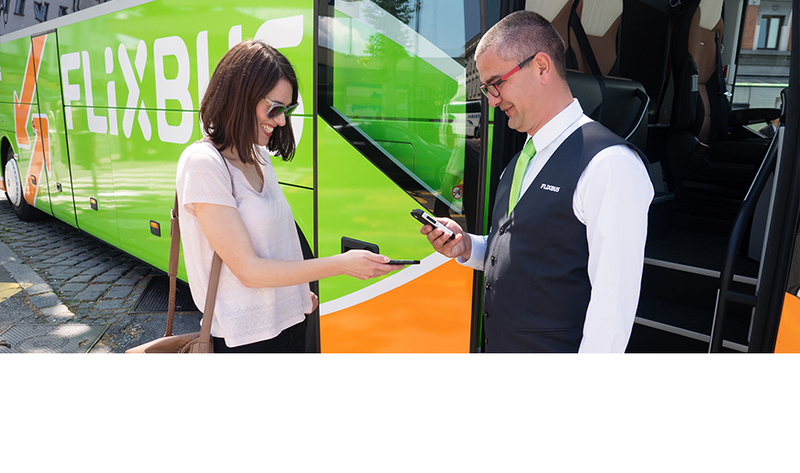 Our bus partners offer more than 600 European destinations. The main departure point is from Vienna, but also several other Austrian provincial capitals are connected to our bus network. Just enter your desired destination to the timetable search and you'll get all the information you need.